The government's closure of a database holding details of all 11 million children in England could lead to vulnerable children being seriously harmed, the NSPCC said today. The £224m ContactPoint database was established by Labour after the Victoria Climbié child abuse scandal to improve child protection. Launched last year, it held the names, ages and addresses of all under-18s on a central computerised database, along with the contact details of their parents, schools and GPs. Hundreds of thousands of teachers, police officers and social workers had access to the register to help co-ordinate who was working with children. The controversial system was beset by delays, technical problems and fears over security, and the Conservative-Liberal Democrat coalition pledged to shut it down after taking office, saying it was "disproportionate and unjustifiable". But the NSPCC said today: "We are concerned that the government's decision to shut down ContactPoint before a suitable replacement is in place could lead to vulnerable children being seriously harmed. Numerous reviews into child abuse cases have shown vulnerable children are at serious risk when professionals fail to share information speedily and effectively. "It is vital we have a system that allows concerns about children to be spotted and acted on rather than being allowed to fall between the different agencies working with them." Tim Loughton, the children's minister, told BBC Radio 4's Today programme this morning that there were three problems with the database. "Firstly, we don't think that spreading very thinly a resource which contains details of all 11 million children in the entire country, more than 90% of which will never come into contact with children's services, is not [sic] the best way of safeguarding genuinely vulnerable children. Secondly, we've had longstanding concerns about the security of the system … and thirdly, it's a civil liberties issue. This is a surrogate ID card scheme for children by the back door, and we just don't think it's necessary." How the hell did something which only hold names and addresses end up costing £224m? Did it only have access via retina scans? Labour certainly knew how to blow cash. as you know, the main reason people call the help desk is they cant log in..password security would be key in this organisation. So the SBS SQL database cost a grand, website £100 per year, but the security staff department, with top exec on £225K and 10 board members all on £200k and bonuses, and 300 staff to answer the phones...you can see why. UK IT is an expensive ponzi industry filled with amateurs and bullshitters almost to a man. Hopefully it will all be outsourced to India or even the cloud (depending) and we can all become free of the smelly nerd tax. What the feck do the NSPCC know about databases? Do they even understand what they are saying? Or is it just we're all right jack, change bad. Dunno, they were probably limited by the fact that Microsoft Excel can only hold something like 65k rows of data. Gordon Brown set up a task force of additional managers to monitor weather conditions and shark aggression in the Caribbean to assure that the database is safe. These managers go on away days on channel ferries to get 'relevant exposure' to the private sector business conditions and associate themselves with latest ship-shark-evasion tactics in the channel. Because someone is taking the p1ss out of us (the taxpayer) by charging extortionate fees for everything and the gov lap it up because shelling out large sums of money to p1ss takes gave them all semi-erect knobs and made them feel 'special'. 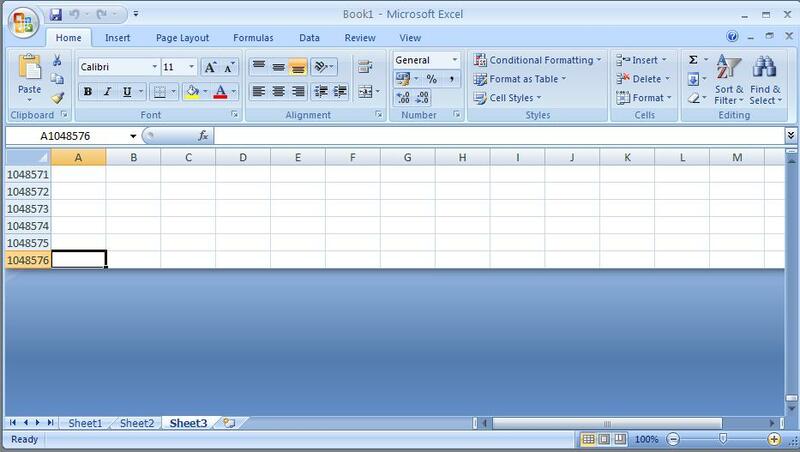 If you really want to abuse Excel, get the 64-bit version of Excel 2010. 100m row limit, I believe. And then you can put a Windows HPC Server cluster behind that to run calculations more quickly. But back to the point in discussion, I am ecstatic that this vile database has been dumped. What was so hypocritical was that "slebs" would be able to opt out. Why the hell should they have an exception to opt out if "normal" people couldn't? Everyone loves to take the piss out of the IT industry. You think all IT people are a waste of money. What you're too stupid to understand, is the money isn't spent by the IT people it's blown by management. At the bottom of the chain, programmers earning £25-30k write all the software, usually during their own time because they are forced to spend all working hours in pointless meetings. If you had just got 2 geeks to write the solution, it would be ready in a couple of weeks. Sadly, they don't get to make decisions, there is a whole army of people who get to design everything before the IT people get involved and make a system identical to the one they made for someone else last year. From an IT point of view, I'd love to see the breakdown. fees for lawyers to draw up the contracts etc. including getting the actual data, but that must already exist). Hardware way under 100k. Well, I can easily make this a lot more complex than the absurd £100 per year for a website estimate. 1) Upkeep of data. Who can do it, how is it done. 2) Administration of access to data. 3) "Details of children" What do we mean by "Details", presumably we will have a single record for a child, followed by a series or incidents entered by people assigned in (2) above. 4) Presumably there will be a way to associate children with other children, both by incident and by residence. This could easily get very complex. 5) Reporting on the database. We will need ways to look for patterns in the database which is probably going to end up going down a neural network model for intuitive pattern matching. This is to spot trends and / or unknown connections. Broadly speaking it is expensive and there are certain to be a lot of spongers ripping it off, it is probably useless, but the idea that it could be hosted on a little server in someone's basement for a few thousand is just silly. You don't even know what the brief was. He means High Performance Computing btw and not House Price Crash. BTW, that whole Excel thing with HPC server does work really well if you are doing Monte Carlo type stuff or your just running a massive work book. Anyone that deals with Andersons/Accenture or any of those larger consultancies deserve everything they get. Everyone knows they'll cost a fortune a deliver nothing other than a wall of printed cr*p.
NORTHAM: Fire fighters aren't the only people waiting for a computer system to do what it's promised. 107,000 English farmers are supposed to receive subsidy payments under the reformed Common Agricultural Policy, with the amount determined by the acreage of land they work. For those struggling to make even a subsistence living, the thousands of pounds they qualify for can make the difference between survival and bankruptcy. It doesn't sound like much of a problem to get their payments right, but the Government body responsible, the Rural Payments Agency, RPA, is rarely mentioned now without the adjective 'beleaguered'. For five years, widely publicised problems with its computer system have led farmers to despair. And their troubles are far from over. NORTHAM: The result has been a catastrophe. Payments cost around £1,700 each to process in England, while in Scotland, where they chose a much simpler system, the cost is one-sixth of that. The budget of the IT system has gone from £53.8 million to £350 million. Three times the Commons Public Accounts Committee has looked into rural payments, and three times it's concluded that the system has failed woefully. The Committee's chairman, Edward Leigh, makes no attempt to mask his displeasure. LEIGH: Oh, this is one of the worst ****-ups, administrative disasters that we've encountered in Government for many years. I mean, the figures are staggering. We've had to pay a fine to the European Commission for our gross inefficiency of £280 million. We've spent £304 million on additional staff costs. In total we've wasted on this Rural Payments Agency a staggering £622 million. Now I know that these figures may seem very little, may seem difficult to understand, because we always talk in politics in millions and billions. There are only 100,000 farmers. It would be frankly easier just to write a cheque for £10,000 or £20,000 for each person rather than employ hundreds of people, waste £600 million. And the worst thing is that the farmers suffer and it's tragic. I mean, some farmers have actually committed suicide because, you know, they've been given and then abruptly they've been told it's an overpayment, the money has been demanded back. By the way this IT system alone cost £350 million. You couldn't believe that you could spend £350 million on an IT system to pay 100,000 farmers. It beggars good sense. What we said, it may be better to scrap the whole lot, scrap the existing system, scrap the IT project, get a new IT system and start all over again. I mean, it may be that if you're in a hole, stop digging. NORTHAM: One aspect of the scheme is particularly galling for Edward Leigh -- the payments made to IT staff from the scheme's contractor, Accenture. It's officially recorded that one hundred of the company's experts are employed at taxpayers' expense at an average salary of £200,000 a year each. In general, the entire situation represents poor planning and project management taken to new heights of incompetence. Despite complexities in aligning UK practices with EU policies, both RPA and Accenture designed and executed a system based on poor practices, lack of experience, and world-class levels of bad planning. I actually worked on ContactPoint. It could have been delivered for 1% of the cost. As mentiond above, it was essentially a database of names, addresses, and involvements, with some fuzzy matching above that to confirm when the records were linked. First, they all had massive data cleansing projects to get their data ready to load into the database. Even basic name, address and involvement data was usually a mess in these databases. Big 'contact point readiness' projects were put into place full of managers and consultants and the odd guy on £12 an hour actually cleaning up data and filling in the blanks. Then, local authorities wanted to integrate their systems with ContactPoint for easy access to the data. To do this, they had to pay their diverse suppliers across social care, health, education, youth justice etc to build adapters. A supplier such as ours would build it, and then charge 40 - 50 local authorities for the same adapter! Next, they mandated this silly process of testing and accrediting the adapters, and then each 'instance' of the adapters. A supplier with 40 - 50 customers might have needed to instance acredit 4 environments at each of their customer sites. 200 pieces of billable work - cha ching! Cap Gemini who ran the central database of course made a packet and made it much more complicated than it ever needed to be. They went waaaaay overboard on security. Signs of a government scared by the visible data losses etc were abundant. There were meetings and conferences about the project all over the shop. We've all been to bs meetings, but I attended some as a techy, and the level of blue sky administravia codswollop was off the richter scale. I'm a fairly business focussed techy, but the meetings and discussions that took place around ContactPoint were completely divorced from reality. Having said all of this, I'm not sure I agree with it being canned at this stage. We could see the change of government coming a long way off, so of course signed contracts with the local authorities which very much committed them to the project. The original aim of building a joined up view of interactions with the child was also a good one - data sharing in this area is very poor and ContactPoint did have the potential to deliver value. Shame they didn't just download a free copy of MySQL, a webhost and someone with some PHP skill, probably could have set the whole thing up for 50k or something. Cap Gemini...bunch of money grabbing b@st@rds. They'd charge you for breathing if they could. Just like cancer, they've got their claws buried deep in the tissue of the public sector to the point where they're almost unextractable. Firms like this need bringing under control or they run the risk of being 'too big to fail'/to be got rid of in favour of more ambitious, better value firms. You were doing so well, right up to this point. How could it be "deliver value" when in your words, it could have been delivered for 1% of project cost???? Was it worth spending £2242 MILLION POUNDS, or, put another way, £224,000,000.00, on? Is that Value? They went waaaaay overboard on security. Not value for money - value as a tool to the people on the ground. The money was a sunk cost or contracted for before conservatives even took office. The government spends money terribly. They have no reason what so ever to be efficient and get taken to the cleaners by every firm they do business with. Think of your taxes being wasted on this kind of crap. All the more reason to have the smallest government possible. I dont think Amazon spend £200million pounds on their database system...and it is very complicated and updated every second of every day. A bit off-thread here, but my mother-in-law recently told me that her department were quoted something like £20K by a PFI contractor to just widen a door by an inch in a PFI hospital. I also noticed something similar in a story in Private Eye this week. On a wider note, the contact point database is a bit of a red herring. The thing is that having an entry in a database does not stop a child being abused or stop authorities from being able to prevent it. One of the biggest issues about the Climbie case was never really examined at all: that once you take a child out of public institutions, you can't really monitor that child's whereabouts or their physical and mental health. If a child is known to child services, and a social worker goes round to the house and there is never anyone there, just exactly what can you do? Get a warrant to inspect the premises? It might be pretty hard to get that (look at the problems surrounding IRP Act and local government), but lets say you manage it. The child is still not there. So what do you do? Get the police involved? Under what reasoning? Lets try it another way. You go round and the "carer" says the child has gone abroad or to their home country. Then what can you do? Organise surveillance? Send an agent to track the child abroad? Surveillance might seem a good idea until some local government department starts over-doing it, and there are serious privacy issues that create an uproar in the national press. It's a really awkward situation. I could, fundamentally, give birth to a child, and no one would ever know it existed so long as I kept it out of public institutions.